London's Metropolitan Police said the men, who are between the ages of 19 and 55, had been detained on suspicion of a "public order offense" as part of an investigation into the video. The men handed themselves into South London police late Monday.The anonymous video, which has been widely circulated online, shows a group of people placing a cardboard model in the center of a bonfire as onlookers mimic the screams of those who lost their lives in the fire that engulfed the West London low-income housing tower block in June 2017. As the flames begin to set the model alight, bystanders can be heard shouting "Help me, help me," while one person mocks the stay-put policy of the London Fire Brigade, saying, "Don't worry, stay in your flat. "UK Prime Minister Theresa May called the act "utterly unacceptable. "In a statement, Metropolitan Police Commander Stuart Cundy appealed for information on the incident, adding that he is "appalled by the callous nature" of the video. "To mock that disaster in such a crude way is vile. I can't imagine the distress this video will undoubtedly cause to bereaved families and survivors," Cundy said. London Fire Commissioner Dany Cotton also voiced concern over the video, calling it appalling and adding that the actions of those involved "cannot be justified on any level." 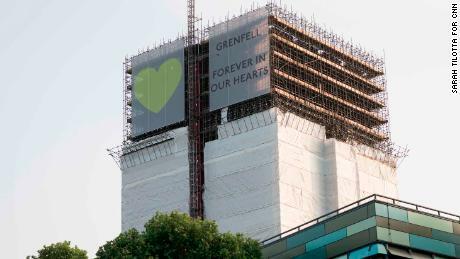 "To intentionally use and mock the Grenfell Tower fire in this way will cause deep pain and offense to the bereaved, survivors, the local community and all of the emergency services who will never forget that night," Cotton said. The model, labeled "Grenfell Tower," had paper cutouts of burning people at the windows of the apartment block.Several of the cutouts appeared to have been colored brown, and a St. George's Cross flag is seen waving in the background. Many of the victims were people of color and immigrants. 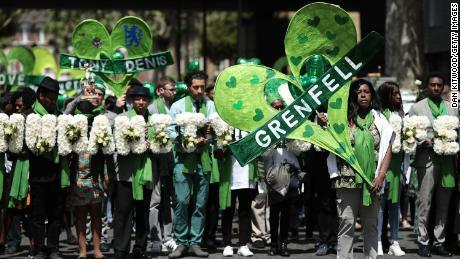 The St. George's Cross flag is the flag of England, with the Union flag representing the United Kingdom.Justice for Grenfell, a community-led organization set up after the tragedy, described the incident as a "sickening act of hate," and called for a robust police investigation. "The content of the video, that includes a replica model of Grenfell Tower and the burning of effigies, has caused great alarm and distress. 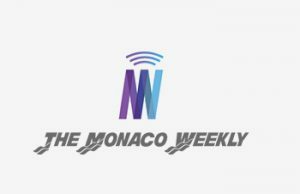 We are disgusted and shocked at the inhumanity and callousness of those involved in this video," the organization said. "This is clearly a hate crime and as a society we should never tolerate these types of blatant acts of hatred." Mayor Sadiq Khan condemned the "sickening" video, while UK Home Secretary Sajid Javid called those involved in the "disgusting, shameful" incident a "disgrace." "The survivors of the Grenfell tragedy have acted with unbelievable dignity and deserve the utmost respect," Javid said. Echoing Javid's sentiments, Member of Parliament for Tottenham David Lammy tweeted:"Effigies are for hate-figures not innocent victims of a national scandal. These thugs may fly the St George's flag, but they disgrace our country."